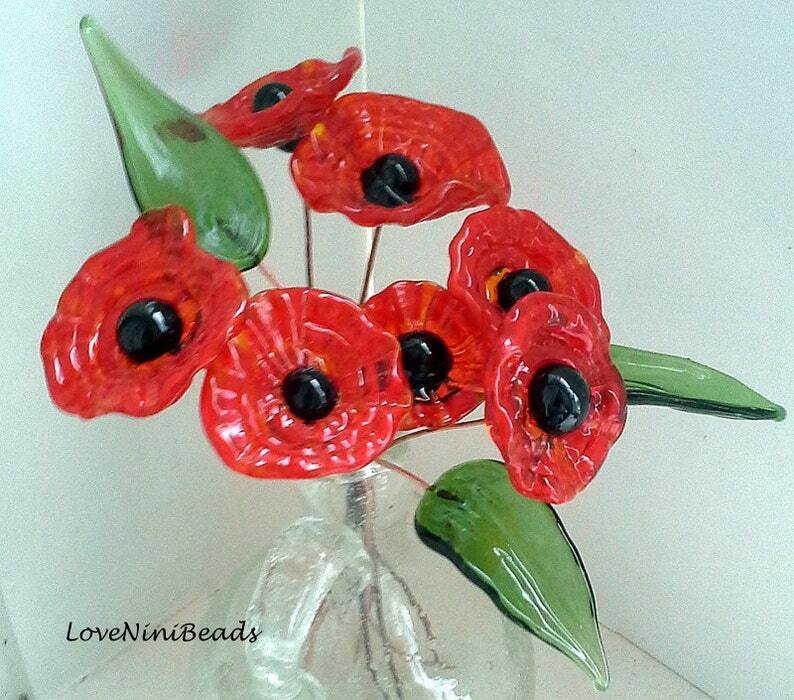 This Listing is for ONE Red Poppy Glass Headpin worked on 20 gauge copper wire. Measuring about .75" - 1.25" across. Leaves can be purchased separately. Headpins can be used either for Jewelry Making or in a Floral Design. Each has been created on 20 gauge copper wire for easy manipulation yet are sturdy. Each piece is created one at a time so no two will be exactly alike. Stock Photo. A "NiniBead" original , handmade by myself......I give alot of my heart to each bead and creation therefore I search for fine quality (some handmade) sterling silver findings ....truly one of a kind. Thank you so much! Just what I wanted!